There had been nine films that did box-office collections of Rs 100 crore and above in 2014. Then came Aamir Khan's PK which broke all records. In the end, 2014 belonged to Khan. Like Khan, 2014 also clearly belonged to Shrikant Bhasi, whose Carnival Cinemas registered the fastest growth in the number of screens among multiplex chains. At the beginning of 2014, the four major players in the multiple-screen theatres business were PVR (408 screens), Inox (296), Big Cinemas (254) and Cinepolis (100). By the end of the year, while PVR and Inox held on to their top ranks, Kerala-based Carnival Cinemas had cruised its way to the third spot, having added nearly 260 screens after acquiring Anil Ambani's Big Cinemas and HDIL's Broadway Cinema. And though Cinepolis too had bought out Subhash Chandra's Fun Cinemas, it had to be content at a place below Carnival. The various acquisitions in 2014 imply a strong consolidation in the pan-India multiplex business. In turn, this means that opportunities in that space for inorganic growth through acquisitions will now be fairly restricted. That is why there is a subtle change in the outlook of exhibitors regarding future prospects, and the focus has shifted from the national to regional markets. As Kamal Gianchandani, president, PVR, explains: "There are many small cities and towns that have an appetite for cinema consumption, but are still virgin pockets for multiplexes. These will naturally be the places where the focus will shift. Instead of targeting chains, national players may look at standalone multiplexes." Currently PVR, Inox, Cinepolis and Carnival Cinemas comprise the quartet that has a footprint across the country. There are 15-20 regional players and some local players in various states. When the smaller companies find the viability of their business affected by the entry of the national players in the regional space, you can expect more consolidation. Of course, such an outlook would depend on whether there is prospect of growth in the business. And going by figures, it appears that the industry's capacity has not yet been exhausted. "A developed market like the United States has almost 40,000 multiplex screens. 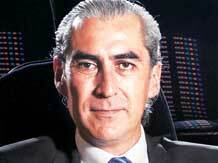 In a developing market like China, there are 20,000," points out Gianchandani. "In contrast, India has hardly 2,050 multiplex screens." According to him, the industry in India can easily look at 7,500 to 10,000 multiplex screens, though he does admit that the growth trajectory for such screens has not been pacy. It has taken the country 18 years to arrive at the 2,000-odd multiplex screens since the first movie theatre with multiple screens opened to the public in 1997. Content is not a problem. The film industry in India produces over 1,000 movies a year. Four billion theatre tickets are sold annually. "The only lacuna lies in the exhibition space," says Deepak Asher, director and group head, corporate finance, Inox group of companies. "We have only nine screens per million citizens, while China has 25." He adds that of the nine screens per million in India, just a couple are multiplex ones. Mergers and buyouts could bring synergies and maximise profits for joint operations for the companies. The Fun Cinemas acquisition, for instance, strengthened Cinepolis' presence in Delhi and Mumbai. 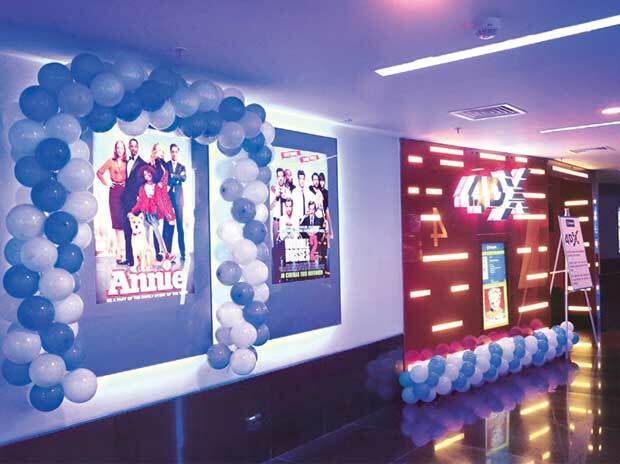 "Apart from this, there are five markets where Fun Cinemas and Cinepolis are present together," says Javier Sotomayor, managing director, Cinepolis India. However, a large part of the expansion of the market will have to come from organic growth, believes the industry. As Sotomayor says, "We have always believed in growing the organic way." Until the Fun Cinemas acquisition, Cinepolis had chosen to increase its presence in the country through organic expansion. Even now, the majority of the chain's screens are original Cinepolis properties. "We will continue with this strategy," says Sotomayor. "We want to chart growth based on presence and profitability." Gianchandani also feels that for the cinema exhibition landscape to change, organic expansion is necessary. "While I fully respect the aggressive expansion call that Carnival Cinemas has taken, it is a fact that this does not change the landscape much. The number of total screens hasn't changed due to the acquisitions," he points out. What has changed is, as he puts it, is only "the banner outside the multliplex". Both PVR and Cinepolis are looking at organic growth this year. PVR has been adding 70 to 75 screens every year in the past couple of years and Gianchandani hopes to up the expansion rate to around 100 screens a year, the various factors involved in organic expansion permitting. Sotomayor is eyeing another 60 screens for Cinepolis by the end of 2015. The first of these will come up in Kolkata, followed by Bengaluru, Chandigarh and Delhi NCR. Even Carnival Cinemas, the champion acquirer of 2014, has plans for organic expansion, with Bhasi contemplating a portfolio of 400 screens by March 2015, including 75 screens on its own.